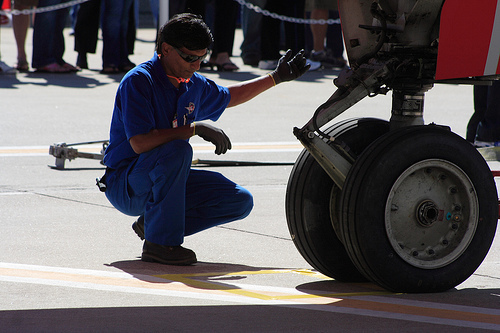 Aviation Marketing: Employees are your best social media brand ambassadors. How Southwest Airlines uses employee branding to gain a competitive advantage. This was demonstrated for me first hand on a recent flight from Dallas to Los Angeles with a stopover in Albuquerque. The departure was delayed and further exacerbated by an equipment change to an aircraft with reduced seating. The gate agent explained the situation and offered a $300 voucher for passengers interested in taking a later flight. There were several travelers that took advantage of the offer and boarding proceeded. Upon arrival in Albuquerque, the ground crew, baggage handlers, pilots, and cabin staff made up for lost time by turning the plane in less than 20 minutes. During the final leg of the flight we were all invited to sing Happy Birthday to an 88-year-old woman who donned a crown of peanut bags woven together with drink stir sticks by the flight attendant. Upon arrival, I took the time to survey the faces of departing passengers and found a smiling group heading towards baggage claim. How did Southwest turn a delayed flight, loaded to the max with a stopover, into a positive customer experience that landed on time? Southwest’s competitive advantage in the airline industry is based on its covenant with its employees. This is reflected in the way it manages its messaging systems to reflect brand image, deliver on the mission statement, and reward brand ambassadors. ← Aviation Marketing: Rebrand or renovate?